Mustafa Akyol argues in The New York Times that it is time for Muslims to have their own Letter Concerning Toleration. I couldn’t agree more! He points out that many Muslims support harsh punishments for “heresy,” “blasphemy,” and other practices that are deemed offenses against Islam. However, within Western Christendom it took more than Locke’s influential Letter. Locke was only one (albeit an important one) of hundreds who wrote passionately against intolerance, both before and after him. And it took years of bloodshed, violence, and oppression before the idea of toleration took hold, and then only begrudgingly at first. 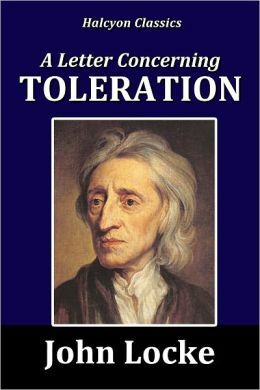 This is not to say that Muslims should not take up the cause of toleration, but to say that it is going to take more than a Muslim John Locke. It will take a determined movement over a long period of time. I hope some Muslims will take up the challenge! Thanks for the suggestion Akyol! A Letter Concerning Muslim Toleration – NYTimes.com.